Ponte di Legno is typical charming mountain village and is the best ski destination, if you are planning holidays with all your family. All the facilities and services the resort offers are perfectly suitable for individual skiers as well as families with kids of all age. If you are tired of the great pistes offer, definitely try something new with cross country skiing. Ponte di Legno gives you a chance to regenerate yourself on several cross country slopes. Here you’ll find vital information on the Ponte di Legno ski resort as well as help and guidance in booking your transfer. Ponte di Legno ir ski resort in northern Italy and has lot to offer for tourists and other visitors. Here skiing does not end at sunset, but you can enjoy skiing thrill also at night skiing slopes. For off-piste skiing lovers, this is the right place to go. 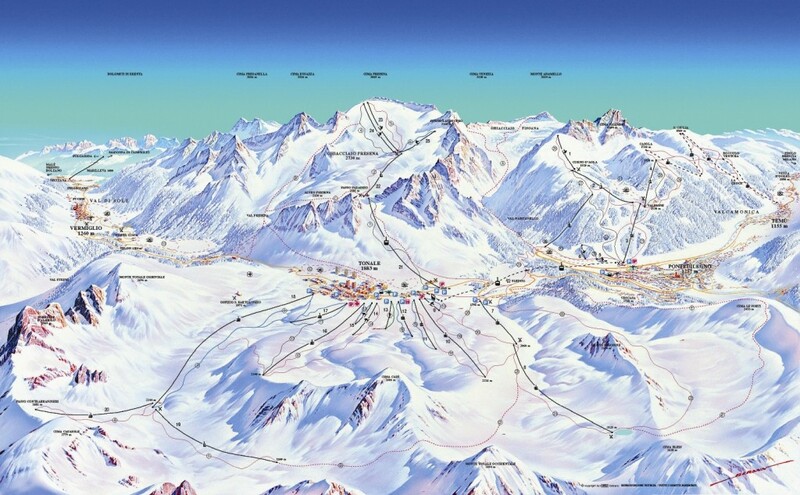 Here you will find several breathtaking runs to experience free-skiing in safe environment off the piste. A little afraid of off-piste skiing? Try Snowpark Tonale, especially suitable for snowboarders to test their skills and learn new tricks in safe environment. If you are an adrenaline junkie, you have a chance to try snowkiting or enjoy beautiful helicopter ride above the Alps. Here you can experience everything. We are using dynamic pricing structure, when developing prices for our transfers, to ensure that customers always pay the lowest possible rate. To give you precise rates for transfers to and from Ponte di Legno, we will need to know specific factors of your travel plans. Nonetheless, we at Alps2Alps will do our best to offer you and provide most reliable and cheapest Ponte di Legno transfers. Above mentioned conditions will only result in base rate going down. We never over price our services at any time for any reason. We offer considerable discount for our off-peak and off-season prices. Be sure to get the best deals by choosing to travel in off-season and midweek as it will result with the biggest savings. For midweek (Monday to Friday) we offer 60% discount from regular weekend prices. Your transfer price will also be influenced on availability of vehicles and they utilisation, the schedule of transfer and other costs, for example, airport parking and road tolls. 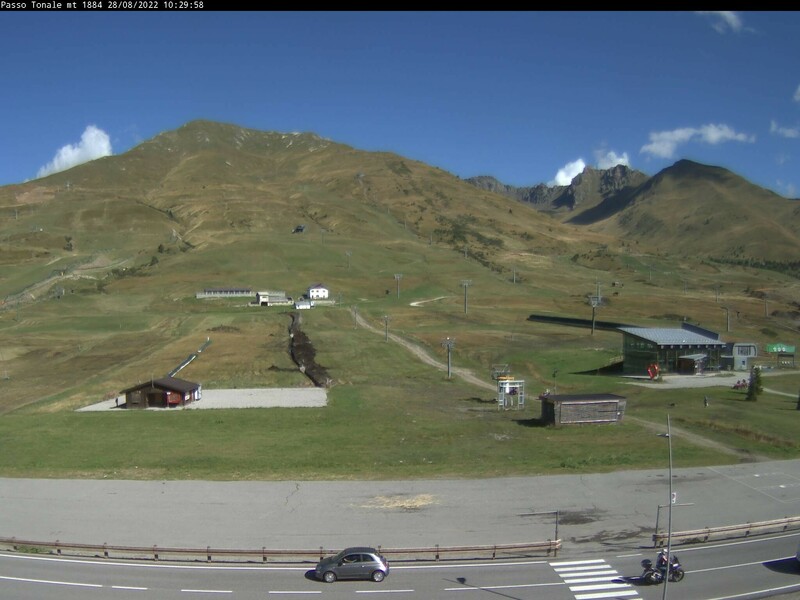 Seasonal opening dates at Ponte di Legno are of course dependant on snow conditions. Ponte di Legno is perfectly suitable for all ski levels. Beginners will find this one of the best resorts to learn new winter sports. As well ski experts will find here challenging slopes for their entertainment. So even when you’ve tried all the rest has to offer, you’re never far away from a whole world of new experiences! If you are thinking of fun ski holidays with all your kids, Ponte di Legno is the right choice for you! It has several outstanding services and offers for winter lovers of all age. First of all, child less than 8 years old can get a free skipass as their accompanying adult. This district is renowned and created into great learning area. All the teaching runs/slopes are well made that children learning to ski can feel safe and free. Ponte di Legno also offer every-day winter playground for kids - Fantaski, where they can fun with family members. And much, more for great ski holidays for all the family. Choosing to book your transfer to and from Ponte di Legno, there are few important boxes to check. Low prices are great thing, but we also guarantee punctuality, comfort and reliability. Our vehicles are set with all safety requirements to offer transfers in Alps in winter conditions. We advise you to book your ski transfer early to get the best deal available. We provide the absolute best quality transfers to Ponte di Legno for low prices whenever you book with Alps2Alps. We’re all about kicking your trip off in style – the moment you step on board!